Come home to this well cared for, one owner home in the vibrant, active community of Reunion. 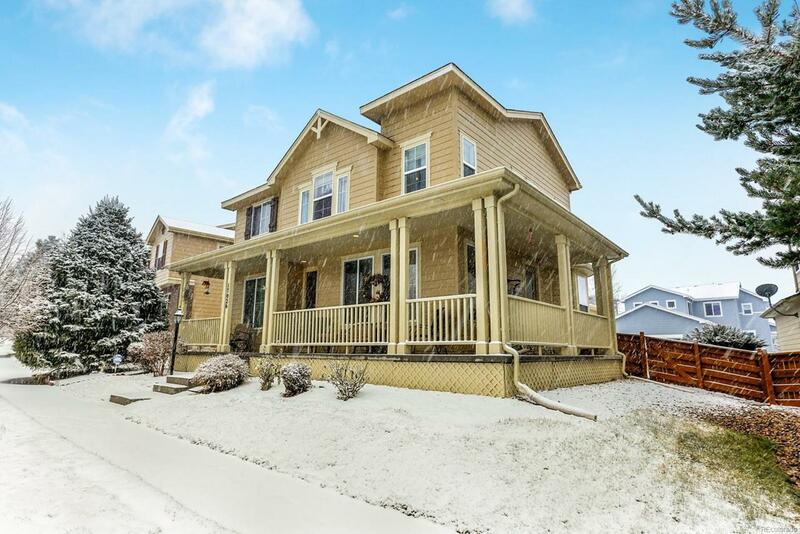 Charming exterior with large, covered porch welcomes you into the comfortable living area. The main floor boasts a 3-sided see-through fireplace, surround sound, recessed lighting , living room, study/office nook, spacious dining room and a large, well-appointed kitchen. Upstairs is a loft/living area, 3 bedrooms, 2 bathrooms including the large master suite with cozy fireplace and 5 piece bath. Updates include new landscaping in backyard, new Lift Master garage door opener, hot water heater less than 2 yrs old, new blinds on main floor and a home security system. Enjoy nearby recreation at the community clubhouse and pool, with easy access to downtown and nearby parks and trails. Seller to provide Buyer a one year home warranty included with purchase of this home as well as a $2500.00 flooring allowance!